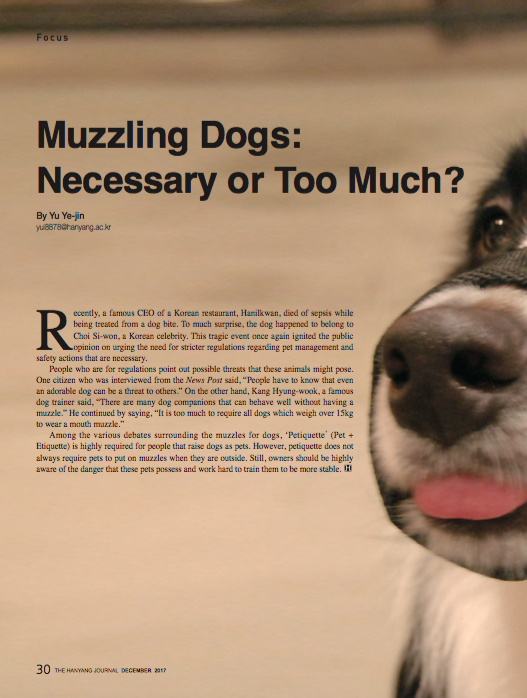 Muzzling Dogs: Necessary or Too Much? Recently, a famous CEO of a Korean restaurant, Hanilkwan, died of sepsis while being treated from a dog bite. To much surprise, the dog happened to belong to Choi Si-won, a Korean celebrity. This tragic event once again ignited the public opinion on urging the need for stricter regulations regarding pet management and safety actions that are necessary. 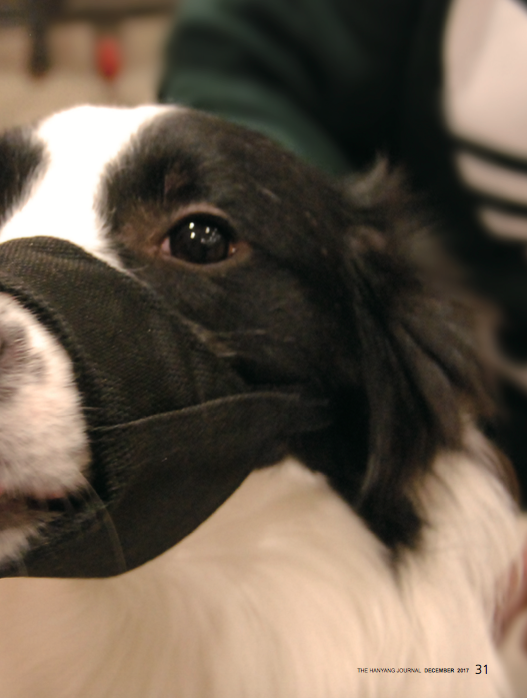 Among the various debates surrounding the muzzles for dogs, ‘Petiquette ̓ (Pet + Etiquette) is highly required for people that raise dogs as pets. However, petiquette does not always require pets to put on muzzles when they are outside. Still, owners should be highly aware of the danger that these pets possess and work hard to train them to be more stable.